Jersey Shore University Medical Center in Neptune, NJ provides a private, comfortable place for employee moms to express milk. 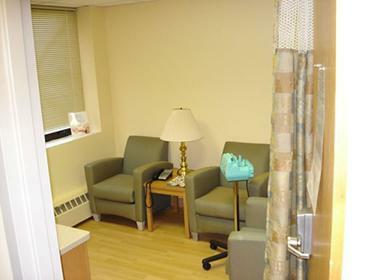 This lactation room has a very homely feel and design, with comfortable seating, soft lighting, a sink, a refrigerator, and hospital-grade electric breast pump. If you're a visiting mom and need to express breast milk, please ask the staff for permission to use the room. Classes and breastfeeding help are also available for employees.